Paper comes from the forestry industry and the main source of paper is trees and is widely used by the people in society across the world. Paper has its scope in other than its direct use I applications like publishing of papers in various industries. An addition to it, it also generates several chemicals will be produced during its making process as a adjacent product of pulp and paper industry. Paper is made by pulping the wood which comes from the trees and by bleaching pulp and duly prepare as sheets will give us paper. Across the making process of paper making several chemicals will be used and these are used to provide required properties we need from paper produced. These properties are like coloring to paper and thickness for paper which has been made. The New Zealand is using kraft pulping to make paper and this paper includes heating and adding chemicals to mechanical pulping to get good quality paper from wood which is very useful in making of paper. In U.S. major part of water is consumed by pulp and paper industry because it requires huge amount of water nearly 60 to 70 cubic meters on average for finishing product. Water will be used in entire process of paper making process. 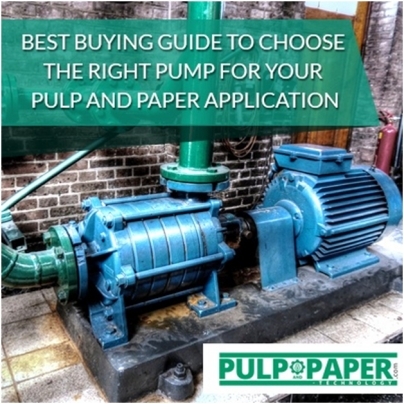 Pulp and paper mills produce great volumes of waste water and sludge waste which is residual and obviously it creates number of problems in treating waste water and disposing waste sludge. In terms of waste water and solid waste management in pulp and paper industry for manufacturing paper, there are increasing number of technologies for treating and strategies includes innovatively to gear up to reuse water and viable solutions for sludge treatment. The inherited pulp and paper industry contaminants for waste streams involves in effluent solids and sediments AOX (Absorbable Organic halides) and C/BOD (Chemical or Biological Oxygen Demand). Various industry experts said that nearly 85 to 90% of water used in paper and pulp industry as process water and it results in major quantity in contaminated water and need in using onsite solutions for waste water treatment. The treatment options involve primary treatment like clarification to solid removal and matter particulate and for secondary it is biological treatment process to remove biodegradable organic matter and reducing the effluent toxicity. Additionally, tertiary treatment technologies such as membrane filtration, UV disinfection, ion exchange, and granular activated carbon can also be employed to further treat effluent water to higher qualities. In Canada the pulp and paper sector has its market of 50 billion dollars that obviously includes nearly 1 lakh Canadian people in communities across country. Canada is one among the greater paper and pulp manufacturers globally and this ships nearly 70 percent of its products across world.